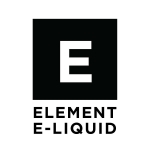 53 reviews for Element E-Liquid's 40 different products. Brilliant flavour that has this almost sour kick along with the smooth melon taste that actually tastes very authentic. Only got one 10ml of this but will be sure to get more as I can't see myself getting bored of the flavour. Gotta admit had high hopes for this liquid, even with smelling it I was hyped but hitting it now just seems a bit sickly. The aftertaste is a lot more refreshing however, but you have to take that first really sweet and artificial hit first to get that and so far not the biggest fan. Might appeal to people looking for a more strong and impacting flavour though, just too sickly for me! A great flavour that has the perfect mix of sweet grapes whilst also including hints of a more sour grape. Overall a really refreshing flavour that can be used all day and haven't had many issues with the flavour becoming bland yet. I honestly cannot vape anything by this company. They use more sweetener than any vendor I know and this flavor is no exception. The Grape is actually pretty accurate. It has that real grape juice flavor, but the sweetener ruins it for me. It’s like vaping syrup. Ordered this juice online from Element. When I first received this juice I told my fiancée that this was the worst juice I had ever tried. It had an overwhelming cherry flavoring and the almond was just off. I threw it in a drawer and let it steep for about a week. When I picked it back up it had completely transformed. The cherry became much more understated and almond flavor turned into candied almond milk with a distinct marshmallow flavor on the exhale. Definitely too rich to be an ADV for me, but man is it good. PB and Blueberry Jam is still my favorite from this line, but Cherry Almond is a close second. 4 reviews for Element E-Liquid. Love Element! They have the absolute best, clean vaping ejuice that I have ever tried. I like to swap out in the day what I vape and keep 6-8 tanks full at all times. I am an equal opportunist vapor. Hands down - Mojito, Limon + Watermelon Chill and Pink Lemonade are my fave. I have bought 3 of these already and I am getting ready to order my 4th of each. Smooth, clean tasting but refreshing. Not overly menthol - which can kill the taste of ejuice imo - just smooth. Absolutely LOVE THEM! Tried 3 of their juices Pineapple, Grape, and their Pink Lemonade all excellent flavors that pack just the right amount of punch and not overpowering at all. Spot on flavors. You will not be disappointed with anything from them. As far as juice is concerned their product is top notch. Getting it however requires a little patience. The website is limited in that you never actually create an account. So every purchase I'm asked to upload a picture of my drivers license for age verification. Once submitted you wait for a follow up email (usually next business day) saying it's been verified and to allow 48-72hrs for processing. Then depending on order size another 3-14 days for shipping notification. Next purchase same thing, I'm sent another email asking to upload driver's license and the entire process starts all over. It would be nice if they'd actually store your information or link it to your email to expedite the process. Or hey, even let people create an account like most vendors. The entire process from entering credit card to getting it at your door can take upwards to 2 or 3 weeks and just seems clunky in this day and age. Again I like the juice a lot, but getting it seems slow. Also the order tracking tool is broken. Upon checkout it'll say "save this page for order tracking" where you enter email & order ID, only to get the message "Invalid email or order number." Only thing I find that works is by saving the email asking me to upload the DL, and following that link and looking at the bottom of the page. Like I said the customer interface/technology portion of their business could use some work. But that juice man! I go Coocoo for CocoPuffs over their Strawberry Cupcake! I love their pink lemonade flavor it's most likely one of the best I've had and I suggest if you're looking for a lemon flavor this one will end your search!